Andrew Viner, was born in Epsom, Surrey, in April 1987. At the age of two, his family moved to Winchelsea Beach. He now lives and works in Rye, East Sussex UK. Although predominantly self taught, he did study art whilst living and working in Brighton. And alongside his own personal study of artists he admires, he has used this knowledge to simplify his own style. Trying to create a narrative, through simple, more naive imagery. 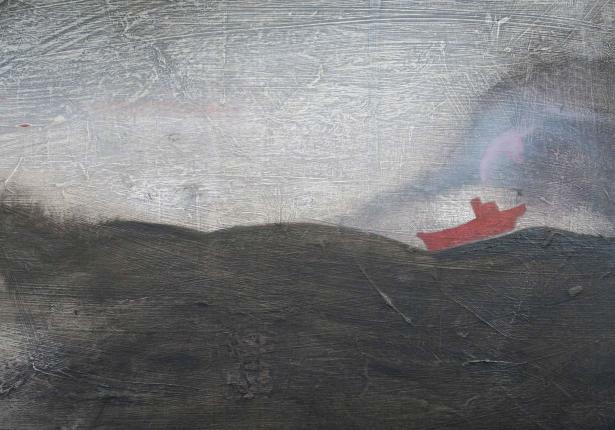 Being ever inspired by the coast line where he lives, as well as the more “primitive” artists such as Alfred Wallis, and indeed the artists inspired by him (Ben Nicholson, Christopher Wood to name a couple) Andrew strives to create a simple image, without it being simple minded. And although at times his work borders abstraction, he strives to remain figurative. Within his work he tries to appeal to that inner being, trying to strike more at the viewer’s emotions, as well as attempting to connect on an aesthetic level.